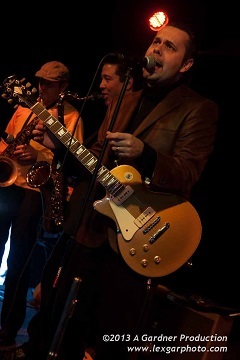 This year the Sao Paulo, Brazil, based Igor Prado Band is celebrating its 15th year of making blues music together. The nucleus of this band consists of guitarist and vocalist Igor along with his brother Yuri on drums and bassist Rodrigo Mantovani. Saxophone phenom, Denilson Martins rounds out the line-up. This core group, along with piano greats Ari Borger and Donny Nichilo, as well as harmonica player Flávio Guimarães have made some of the most consistently jaw dropping blues albums anywhere. The list of world class blues musicians who have made inter-continental journeys of thousands of miles just to record with these musicians is staggering. 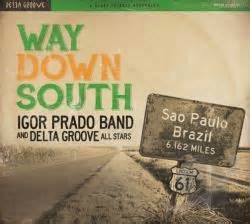 For The Igor Prado Band’s upcoming February 17th release, they are joined by what is being billed as “Delta Groove All-Stars”. 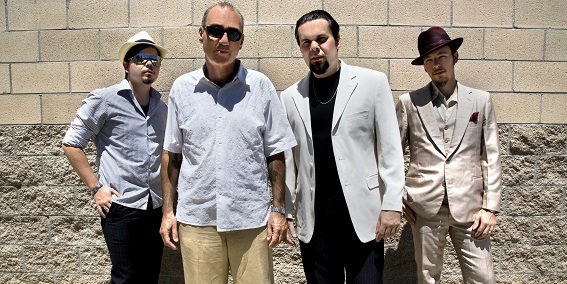 They include Kim Wilson, Mitch Kashmar, Junior Watson, Rod and Honey Piazza, Monster Mike Welch, Omar Coleman, Mud Morganfield and of course the late Richard “Lynwood Slim” Duran, who for all intents and purposes helped to “discover” (for lack of a better word) these young Brazilian musicians and expose them to a large international audience. The album is a collection of songs of mostly traditional, albeit obscure, blues covers ranging from material from Ike Turner, Jimmy Rodgers, Muddy Waters, Elmore James, Lowell Fulson and others. The record is entitled appropriately enough Way Down South. Enjoy a conversation I had recently with the phenomenal Igor Prado. David Mac (DM): Since our last interview in the summer of 2012 (see archives) I know you and the band have been very active on the scene. Let’s talk about what you have been up to. Igor Prado (IP): These past two years have been pretty intense. We did a lot of tours backing up people here like Curtis Salgado, Bryan Lee, Mitch Kashmar and Tia Carroll. We also recorded a couple of albums called Lowdown Boogie and Big D. Both came out on Chico Blues Records. Lowdown Boogie features the great Brazilian pianist Ari Borger with me and the band and Big D features Denilson Martins. Denilson plays baritone, tenor and alto sax. Both records are 100% instrumental albums. DM: You had a couple of Americans on those two releases who are pretty fair players. IP: Yeah, they are alright. (laughs) We had Junior Watson and Sax Gordon guest on both records. Gordon introduced me to a great Hammond B3 player from Austria named Raphael Wressnig. In 2013, we played a lot of festivals in Europe with the Soul Caravan Project. DM: You also worked with an American singer out of Austin, Texas, this past year. IP: That’s right. We had a pretty long tour with Jai Malano and that was great too. I also produced and booked a big festival here in Brazil last August. DM: What I find amazing is that, with all this going on, you had time to produce your own album which is billed as The Igor Prado Band and Delta Groove All-Stars. Let’s talk about the new record, Way Down South. IP: The new album is a collection of a lot of recordings we’ve done since 2013. It includes a lot of people who have come ‘way down south’ to play with us. The album is more about a historic register of the past couple of years. We never thought too much about the concept of the album. We were in studio with a bunch of people and in a hurry between tours. We just played a song without thinking about what fits in an album or thinking about the concept of the album. Some tracks were played for the first time in studio like the slow blues that Sugaray and Mike Welch played with us called Big Mama Blues. Sugar just wrote the song in the studio and some of the lyrics are actually improvised in the middle of the song. So this album was a very spontaneous recording. It is more like a celebration and was perfect to release this year. DM: Even though, as you say Igor, the album wasn’t designed to be a concept, it is however a dedication and one can appreciate that concept from the first time they see the album cover. IP: Thanks for bringing that up Dave. I think my brother Yuri Prado did a brilliant job on the art work; let me explain. You can see an American highway and a sign on the right side that shows that Sao Paulo, Brazil, is very far away and the name of this highway is LWDSLIM 61. It’s obviously a tribute to Lynwood Slim. If you read between the lines, the cover art tells our story. We are very far away from where this music came from and the highway that connects us to all these great musicians and fans in the U.S. is our great friend and musician Lynwood Slim. He was the one who introduced us to a lot of the guests who you can hear on the new album. He was the one who brought us to the United States for the first time. He turned us on to a lot of music, so the artwork is a tribute to him. The whole album is really. DM: Slim actually appears on the album as well. IP: He sings on two tracks. What is probably his last recording is a Lowell Fulson track called, Baby Won’t You Jump with Me. The song was written by Fulson and piano great Lloyd Glenn and has Junior Watson trading swing guitar licks with me. DM: It’s a great tune and has a wonderful piano break by Ari Borger along with some very tasty tenor sax fills by Denilson. Yuri and Rodrigo swing hard on that number as well. IP: That’s a very special track off the album. DM: Let’s get out of the studio for just a moment. We have talked about this before, but would you mind sharing your thoughts about Slim from a more personal point of view. IP: I still miss that guy pretty much every day. He is like family. He called on Skype pretty much every week. It was big loss for us. DM: I have been aware of this project for some time through discussions with Slim and one of the album’s three producers, Jeff Scott Fleenor. Chico Blues and you are the other two individuals with production credits. Jeff told me you did much of the mixing of the new record. Let’s talk about that aspect of your career. somebody really good in the states to do the mixing and mastering for me. DM: You and I talked a little about this when you were here in California in December of 2013 and I know that there are those out there that ask you why you don’t concentrate on your own great band and record an Igor Prado Band album without all the special guests. How do you respond to that? IP: It’s just not me. I don’t think I was born to be a front guy because I love to have a band. I love to share music on stage with other guys. I like to have guests to sing with a whole show and stage production. That is what moves me. I do it this way because I REALLY like it. I’m a big Ike Turner fan, I really like not only his playing, but the way he produced a band in the studio as well as on live shows. That is how I try and approach the work. 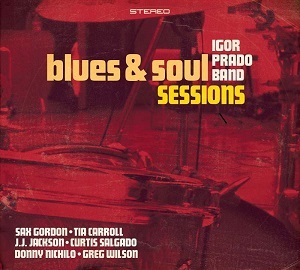 DM: I don’t like getting hung up on labels, blues, rhythm & blues, soul, jazz and so on, but as I listen to the dozen plus albums on which The Igor Prado Band can be heard, there really is quite a variety of styles you and the band have embraced. I know that isn’t by accident. IP: You’re right, Dave. One of my favorite guitar players was Mickey Baker. 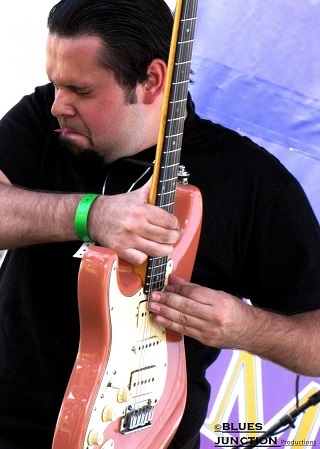 He can go from lowdown delta up to r&b funk ideas and play jazzy chords in the same way. That’s the stuff that really moves me. DM: I know 2015 is a special year for you as this is the 15th anniversary of The Igor Prado Band. What do you have going on this year? IP:We have a lot of travel ahead of us. I will be in the U.S. for the whole month of May. 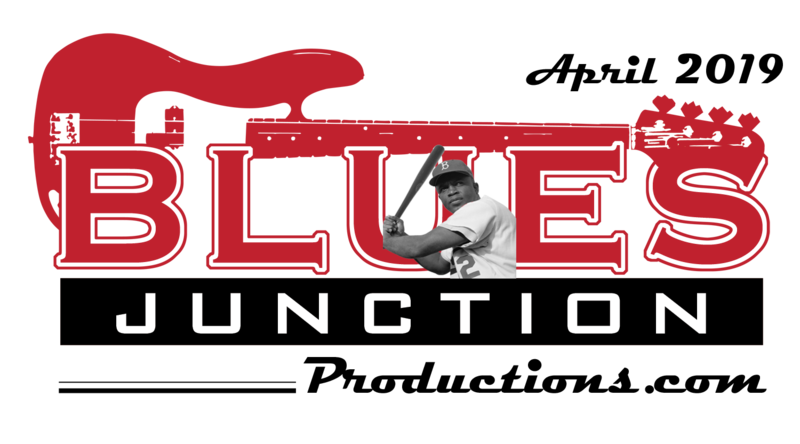 I will be in Memphis for the first time and really looking forward to that. I will be doing some shows with R.J. Mischo in Arkansas and St. Louis. I am also planning on being in Texas for the first time doing stuff with Jai Malano and off course I want to spend a week or two in California visiting a lot of friends and promoting the new Delta Groove Album. Starting in June, I will spend a couple weeks in Florida with my family. We have almost booked a tour of Spain and France for July and another in Russia. In December I will be in New York. In between these travels, I have my booking agency here in Sao Paulo and I still manage tours, doing musical productions here. DM: I know you always have some interesting ideas as far as recording goes. What do you see out over that horizon? IP: Right now I’m working on a future project for 2016. I always wanted to do a tribute album for Little Willie John and now we are working on that. In my opinion he was the greatest. He was so underrated, and had such a tragic life. I think his music is so strong. I’m doing a new project with Raphael Wressnig on Hammond B3, we are going to do instrumental versions of Willie John’s songs and we going to put some serious singers in the album too. The first guy that we thought was Willie Walker. We already had booked a tour with Willie along with Raphael and the band. That was the perfect excuse to start this new project, so I booked a studio and a Hammond B3. DM: Congratulations on 15 years together with the band and all of your success. IP: Thanks so much Dave.Everybody is so proud and happy to still be playing a lot and recording new material... you know, keepin’ the blues alive in Brazil. (laughs) I hope to see you when I get to California later this year.